As the new school year begins, Citizens Commission on Human Rights of Sacramento warns parents of the need to educate themselves about a potential threat to their children's survival. SACRAMENTO, Calif., September 18, 2018 – It may be the start of the school year for children across the country, but the Sacramento chapter of Citizens Commission on Human Rights (CCHR) is focusing on parents—educating them about their rights and warning them of the dangers of administering psychiatric drugs to their children. 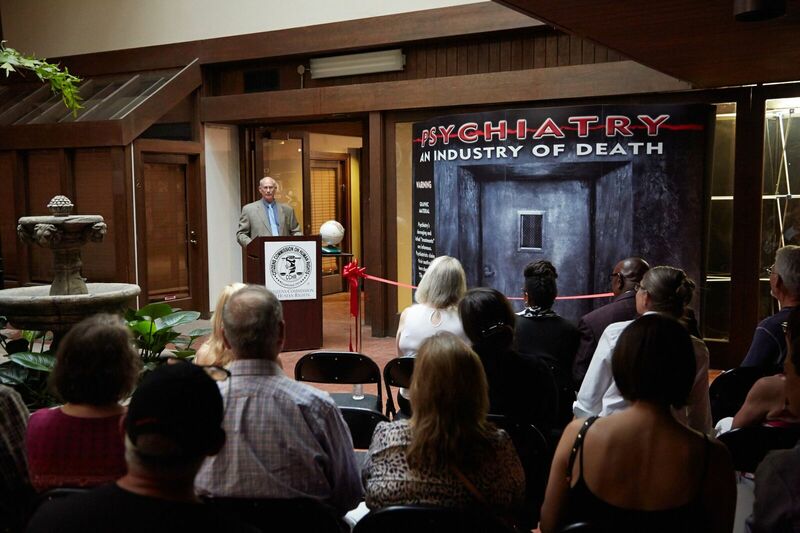 CCHR, a nonprofit, nonpolitical mental health watchdog group, brought its traveling exhibit to Old Sacramento to reach thousands of parents with their message. With more than 400 international drug regulatory agency warnings that psychiatric drugs can cause dangerous and potentially life-threatening effects, Van Hill said parents are right to be concerned. Psychotropic drugs have been shown to double the risk of suicide and aggression in children and can result in other serious side effects such as diabetes, depression, mania, irregular heartbeat, obesity and even brain shrinkage. Drugs with black box warnings are currently being prescribed to over 8.4 million children and adolescents in the United States alone. According to the IMS, Vector One: National (VONA) and Total Patient Tracker (TPT) Database, from 2008 to 2013 this included more than 1 million children age 0 to 5. CCHR cautions parents to know their rights and arm themselves with the documented facts. Federal law (Title 20 of United States Code: Chapter 33, Subchapter II, ASSISTANCE FOR EDUCATION OF ALL CHILDREN WITH DISABILITIES § 1412, State Eligibility) prohibits school personnel from requiring parents to drug their child as a requisite for attending school. Citizens Commission on Human Rights is a nonprofit charitable mental health watchdog cofounded in 1969 by the Church of Scientology and professor of psychiatry Dr. Thomas Szasz. It is dedicated to eradicating psychiatric abuse and ensuring patient protection.